Koyo – 2005-09 Subaru Legacy GT Gets Even Cooler! to the factory AC condenser/fan shrouds for an easy installation. Koyo’s superior quality, precision hand welds, reliability and uniformity are what have earned Koyorad their reputation in performance radiators worldwide. In their production, they use Japanese made equipment and sources only the finest aluminum available. They privately own their factories and have NEVER outsourced their manufacturing. This is truly the only way that Koyo Japan can oversee each stage of production and react quickly to market changes. 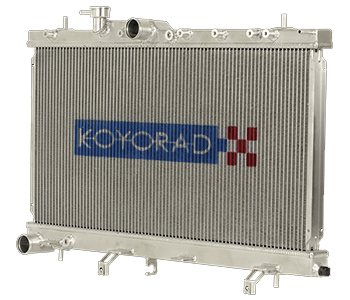 From the selection of raw materials, hand assembly of tubes/fins, TIG welding, triple pressure testing, and to the final vacuum packing, Koyo assures a superior quality performance radiator taking engine performance to the next level. 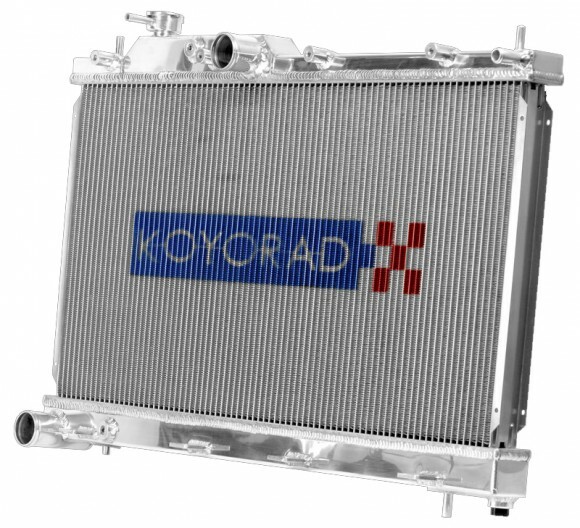 Koyorad introduces a brand new all aluminum performance radiator for the 06-08 Subaru Forester XT 2.5L Turbo w/ 5MT! (part number VH13026). Available NOW. After months of testing, we now have an application specific all aluminum radiator for the Subaru Forester featuring Koyorad’s exclusive 36mm “Hyper V” Series Technology. To those discerning Subaru Forester XT owners who have been patiently waiting for a high quality performance radiator…the best is now available. Koyo introduces the All Aluminum Race radiator for the 08-10 Subaru Impreza WRX w/ 5MT & 08-10 Subaru Impreza STI w/ 6MT! The Subaru STI Radiator is the very first application to feature Koyo’s brand new “Hyper V” racing core. Koyo engineers have determined that 08-10 Subaru STI and 08-10 Subaru WRX have different cooling needs, therefore we offer a different radiator for each with different part numbers. Koyo Part# VH13093 was engineered specifically for the 08-10 Subaru STI and Koyo Part# V13091 was engineered specifically for the 08-10 Subaru WRX.